MatrixBrute has presets created by the world’s top sound designers. They have created both classic sounds and modern evolving patches never imagined before. With the high performance of MatrixBrute, these sound designers could take their creativity to the next level, and beyond. 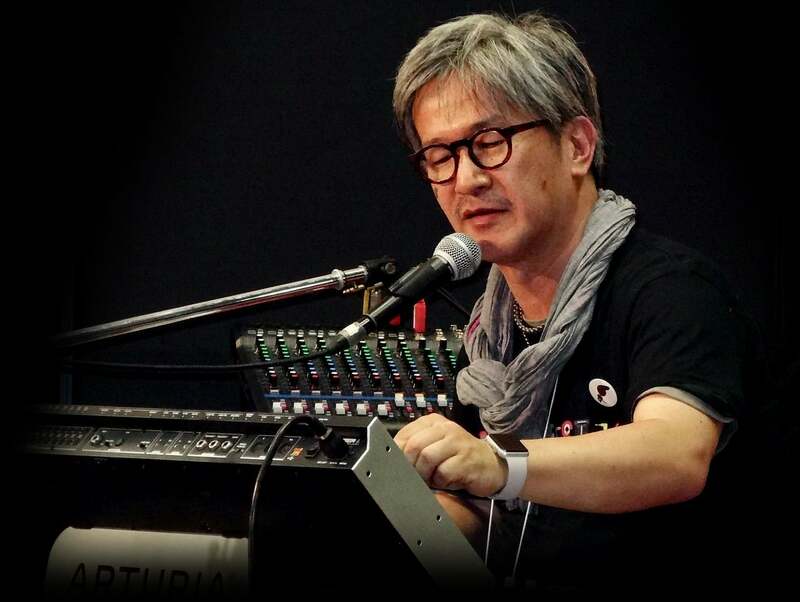 "There was a new discovery that I had not experienced with other analog synths"
Katsunori UJIIE is a creative director, composer, arranger, and keyboardist with a storied career in the field of software production, music production, and music education. As a sound designer he has created sounds for many illustrious synthesizers during the past decades. "The great thing about MatrixBrute is that it covers all possibilities of an analog synthesizer. I was able to perfectly reflect all my know-how, and there was a new discovery that I had not experienced with other analog synths, so I really enjoyed doing sound design on the MatrixBrute." "There are two domains in which any self-respecting monophonic synthesizer just cannot fail. Lead and Bass sounds. They represent probably the most evident yet exigent ordeal that determines if a synth will enter legendary status or not. Not surprising that Katsunori decided to judge the MatrixBrute on this ground. The result is some of the most monumental presets. "The ELP Brain BASS preset reproduces a sound heard the ELP's masterpiece Karn Evil 9: 1st Impression Part 1 from the album Brain Salad Surgery. The three oscillators and the Ladder filter of the MatrixBrute are used to recreate this straightforward sound initially created by a modular system. "The best thing about MatrixBrute is the instant access to all its parameters." Working on the MatrixBrute since the early phases of its prototyping, Victor could claim the title of MatrixBrute first-class expert. Calling on all of his expertise, he created even more sounds for our cutting edge analog synthesizer. "I am a music producer and in-house sound designer at Arturia. I have been experimenting with sound for as long as I can remember, from school with a plastic ruler and a desk, then later on by abusing my electric guitar. Computer programs and synthesizers were the logical follow up for me. Lately I have been looking to merge club music with more experimental structures and textures." “The instant access to all its parameters is amazing. I am not a big fan of menu diving so having everything in one place helps a lot to stay "in the zone" and be aware of the whole signal path when you are making music on the machine." "I tried my best to cover the whole range of the sounds the machine could create. From complex percussion sequences to skull shaking aggressive bass sounds, but also softer ambient pads." "I was trying to figure out how I could create a bassline, bass drum and percussion line at the same time using the sequencer. This preset makes the most out of the sequencer possibilities. The bass sound is made using VCO 1 and 2, which are both routed the ladder filter. Its cutoff is being modulated by the sequencer mod track to add some groove. The kick drum is created using VCO 3 as a sine wave, its pitch is being modulated by envelope 3. The hi hat and snare drum come from the ""Blue"" noise source which volume is being controlled by both LFO 1 and the sequencer modulation track, with an inverted value so that the bassline and hi hats can alternate. Everything you hear is a single note played out of a single patch!" Sitting in front of the MatrixBrute’s vast array of knobs, buttons, and faders can feel a little bit like you’re at a NASA control console. With Beyond The Matrix, Arturia gives you the skills of an experienced mission controller, so you can sit back and enjoy the ride. Created by Victor Morello, one of the most experienced MatrixBrute users on the planet, Beyond The Matrix is packed with 32 expertly designed sounds. Victor has been creating iconic sounds for the MatrixBrute since it was on the drawing board, and now you can expand the soundset of this analog beast with his knowledge and experience. Mixing classic old-school synth sounds with contemporary techno and IDM patches, Beyond The Matrix shows you what’s possible with this modern day legend: pseudo polyphonic sequences, drum sequences, and even a nod to extreme metal. The sound bank also contains some incredibly textural, other-worldly SFX to flesh out your tracks with a little je ne sais quoi. Whatever genre you’re creating with MatrixBrute, this collection will inspire your creativity and imagination. Let us take you beyond the Matrix. This split keyboard patchs has a sequence on the left side of the keyboard and a classic soft lead patch on the right side. Engage key hold and jam endlessly ! Starts off as a classic analog bass patch, then Envelope 3 is used to modulate both the Delay Time, FX Dry/Wet and FM Amount at the same time. Check out how it opens the sound in a drastic way ! This patch is a great demonstration of the unique Matrix-Arpeggiator feature. The chord is changed while playing and the space and intervals between octaves stays the same. The macro knobs are tweaked in real time and transform the shape of the envelopes and oscillator while playing. A tribute to the early days of tape music and the pioneers of sound experimentation. Two random LFOs are modulating the pitch, delay time and envelope release while the sequencer runs at a super high rate in random play mode with only a few steps on. As a result, the envelopes are triggered scarcely in a random way. Very interesting to listen to. The MatrixBrute has three oscillators, so I asked myself if a three note polyphonic sequence could be produced somewhat : the answer is yes ! LFO 1 is controlling the pitch of VCO 2 by a fifth while the sequencer MOD track adds a pitch offset on VCO 3 that allows to write additional notes on op of the main melody. Evolving and calm pad that makes the most out of the paraphonic abilities of the MatrixBrute. No external effects or editing, all you hear is from a few chords played using the patch. One of my favorite ! 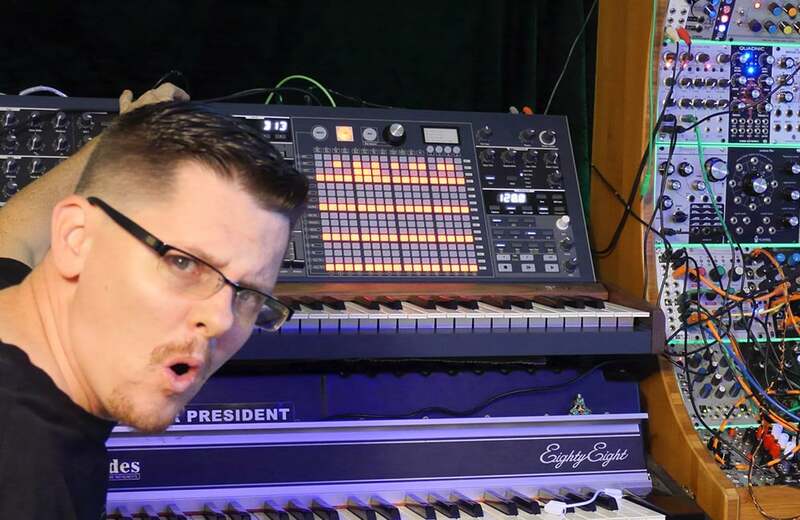 "Creating Sounds in the MatrixBrute is a unique experience"
"My Name is Ken “Flux” Pierce, I am a Sound Designer, Music Producer, and all around synth enthusiast. I host and co-host a number of Live shows (The SynthSummitShow, BeatPPL, and The Producers Hangout) as well as teach various music technology courses. My background is pretty varied between hip hop production, punk rock, and chill-out music. My sounds can be heard in various music products and samplers. I specialize in unique and powerful sounds." "Creating Sounds in the MatrixBrute is a unique experience. 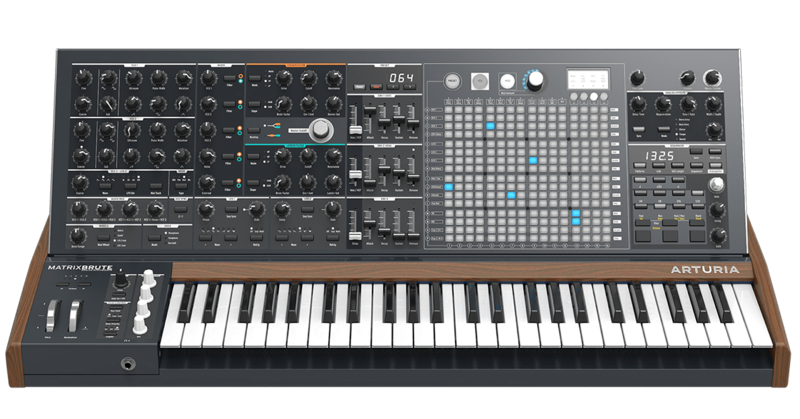 Unlike most deep synthesizers MatrixBrute gives you access to view all of your modulations in one place with no menu diving. This presents an amazing opportunity to design sounds with an overview that allows you to keep focused on the minute details while designing for the global users." "When approaching the sound design for the MatrixBrute my first priority was to create sounds that inspired. I found working with the MatrixBrute that you could certainly keep a sound minimal and get huge results. Adding in the Macro controls and modulations allowed me to really take a sound from vintage to modern in no time. I wanted to take advantage of the dual filters in the MatrixBrute. This is something really unique and allows for a great tonal variety in a single preset." "The whole idea behind this patch was to create not just an ""acid"" style sound, I wanted to create a sound that had a hint of acid squelch but a warm driven character that lends itself to many other styles of tracks. Utilizing the two main LFO's I switch the volume of the VCO 1 and 2 this creates a split between an acid style sound and more traditional lead/bass sound. Turning the macro 1 allows you to overdrive the two VCO’s or take it negative to solo just one VCO and the filter resonance while shortening the envelopes for a more plucky sound. Macro 2 adds in a tempo sync'd analog delay great for giving the sequence a feeling of space. Pro tip, use the Audio Mod section to really bring the tone to life!" "It is almost impossible to do the same on any other synthesizer so instinctively." Stéphane Schott is a French composer and executive producer working for television (TF1, HD1, NT1, TMC...), music edition companies, video game studios (Ubisoft Montreal) and many other private-sector companies. 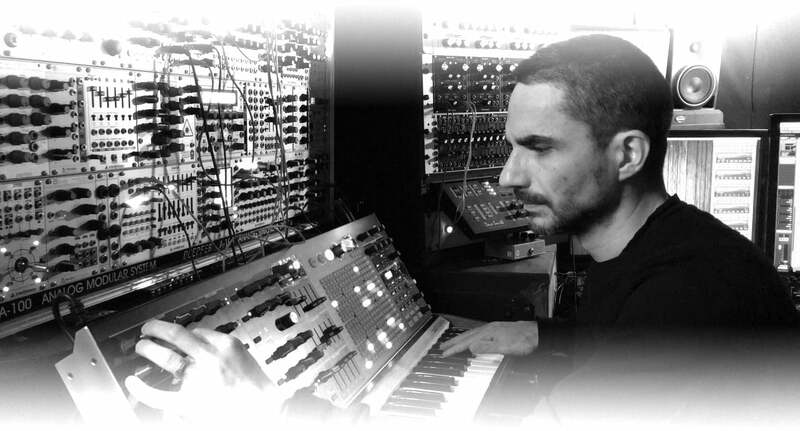 In addition to those activities, he regularly works for Arturia as a composer (V Collection 4 & 5, Spark 2 and MiniLab MKII music) and as a sound designer who was part of the development of sound banks for the Matrix 12V, the Synclavier V and much more. "From the moment I began to handle sound design on the MatrixBrute I was immediately seduced by the effectiveness of the modulation matrix, which is one of the key points of this synth. To be able to assign so quickly up to 16 sources of modulations to 16 destinations including 4 customizable destinations, we can say that it is almost impossible to do the same on any other synthesizer so instinctively." "At the beginning, I put in place a theme with the sequencer, thinking about this then I worked the sound in the Oscillator section, filters and the stereo delay to reach this finish. It is one of the only presets I created this way because usually I have a more experimental approach as the MatrixBrute, with all its possibilities, rightly offers an extremely wide trial field. The analog stereo delay of the MatrixBrute has a very important role in this sound, it really is the source of this ambiance. Then, the 64 steps of the sequencer have been particularly useful to lay down a complete theme." "At first, I wanted to create abrupt, dissonant and aggressive sonorities and it appears that I was able to develop some because MatrixBrute offers many nice settings with the Drive and the Brute Factor in the filter section, the Metalizer, the Ultra Saw in the oscillator section and of course the Audio Mod. Then I realized that it could be interesting in a softer range. The Ladder Filter and analog effects that were not in the MiniBrute brings a lot on that point. I also wanted to make use of the possibilities the 64-step sequencer is offering." 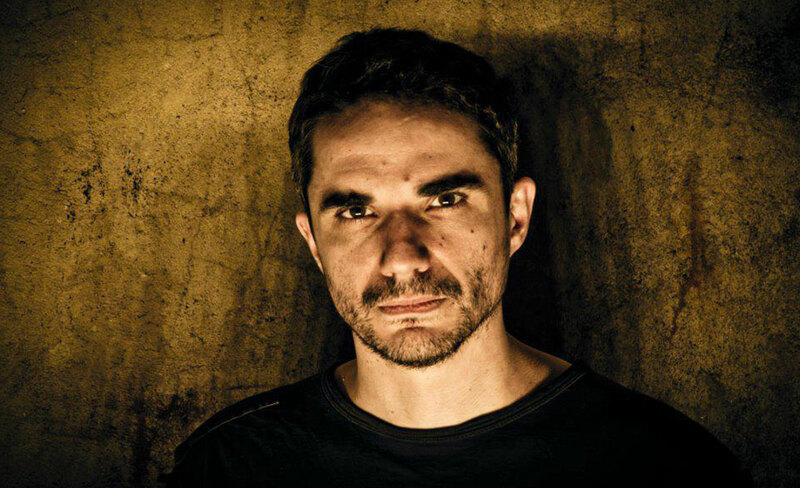 "A direct connection between your idea and the results you get"
Jean-Baptiste has worked as sound designer for Arturia for two years creating factory presets and soundbanks for all the Arturia instruments. 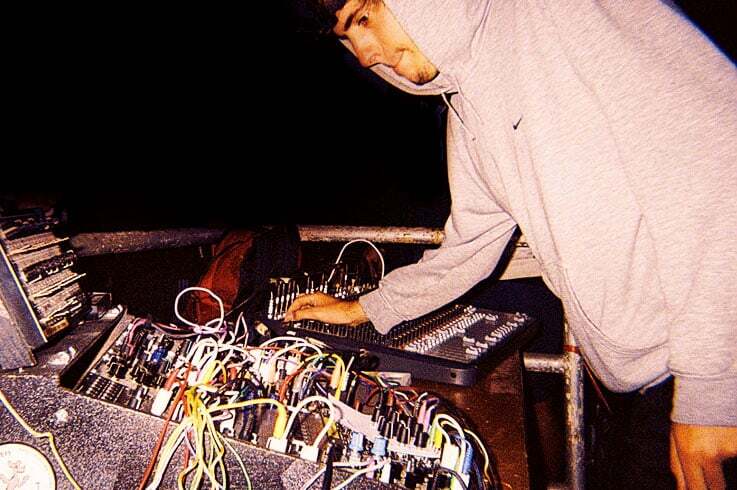 He plays electro live performances as 55h22 using a modular system. "The one knob per function creates a direct connection between your idea and the result you get. You are always sure of the direction you are taking during your sound creation. Hands on, powerful, and inspiring." "The MatrixBrute is undoubtedly a great instrument for musicians but it is also a dream come true for sound designers. Wherever you want to go, you know that you will only encounter open doors. Something as challenging and pleasant for sound experimenters." "With the JB-FX preset I wanted to create a long and evolving patch which lead me to use the delay that is specific to the envelope 3 in order to bring a radical change quite a long time after the key is pressed. The oscillators are set to get two different textures to increase the impact of this change. This preset can be particularly effective as the start of a techno track. It creates a raising tension that is then resolved by a nervous pattern." "There is so much to explore on the MatrixBrute!" "I have been a beta tester and sound designer for various synthesizer companies through the years. Many (mostly analog) synthesizers passed through my hands during the last 35 years, looking for that ultimate, never heard before sound." 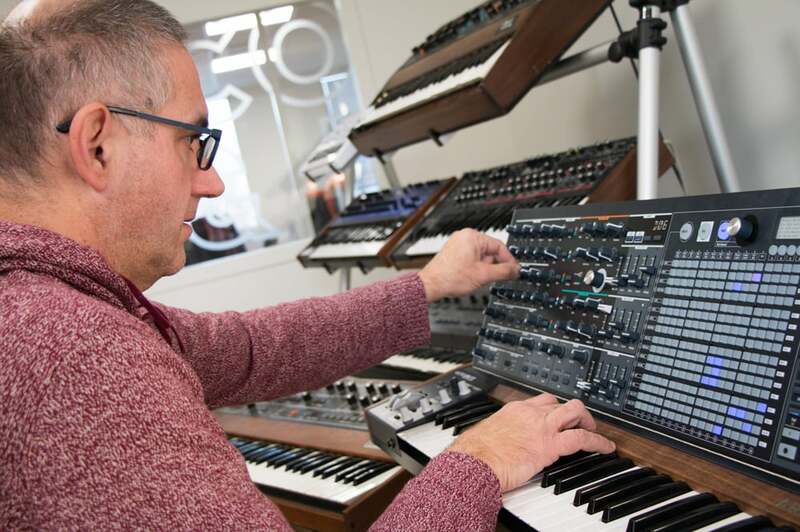 "To me the MatrixBrute has a perfect mix of features: an extensive sound engine, a fantastic modulation matrix, a step sequencer, an arpeggiator plus many other bonuses like the BBD delay, patch memory, various play modes and extensive connectivity to and from Eurorack modulars. "You can do wild things: use an LFO shape as envelope, use just the sub oscillators as sound source, modulate parameters with the step sequencer, modulate oscillators or filters with one of the 4(!) flavors of noise, trigger the VCA gate input with and LFO (you need 1 patch cable for it), etc. I tried to capture a lot of those things in my presets and also did some sounds that recreate famous old sequences: On the Run, Spiral, Tangram, Rubycon. Not necessarily exactly the same, but close and with character. " "It’s actually a pretty simple one in terms of modulations. Two slow LFO’s are modulating the ladder filter cutoff and resonance, the mod wheel opens the brute-factor and M1 opens both ladder filter cutoff and brute factor. The delay adds space. This is how a mono voiced synth should be able to sound at its extremes to my humble opinion. Movement, hair, balls etc. are words that come to mind. There is so much to explore on the MatrixBrute!" 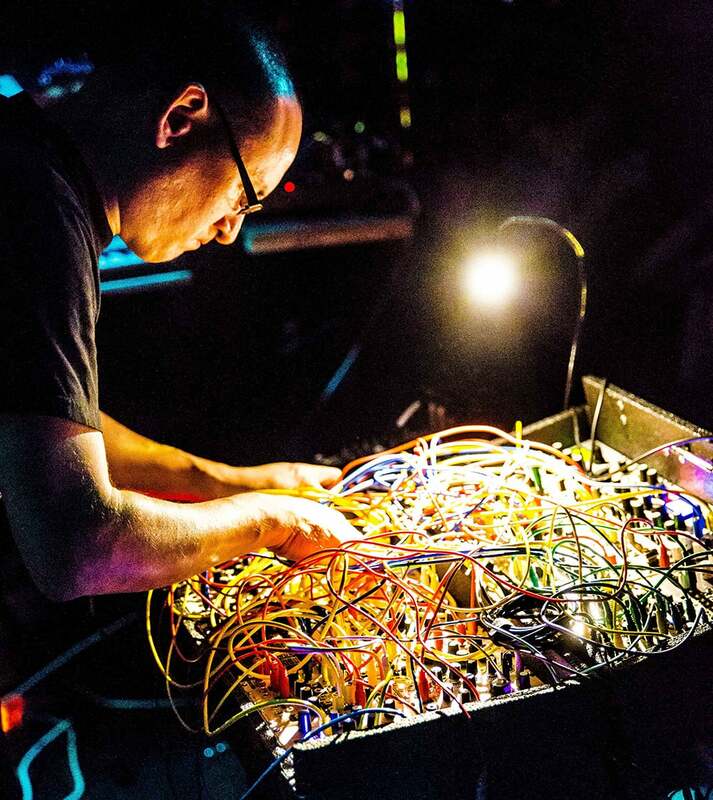 "You can literally route anything to anything"
Atlanta-based electronic musician and sound designer Richard Devine has worked with various labels since the early 90's, releasing albums on Warp and Schematic Records amongst others. His most recent projects include sound design for Google's new Virtual Reality platform, DayDream and a new modular synth album. "The MatrixBrute push button matrix system interface is one of the most unique things about it. You can easily push in your modulation routings, sequences, preset storage/recall making programing and shaping sounds a breeze. The Mod Matrix is an excellent exploratory environment for sound experimentation." 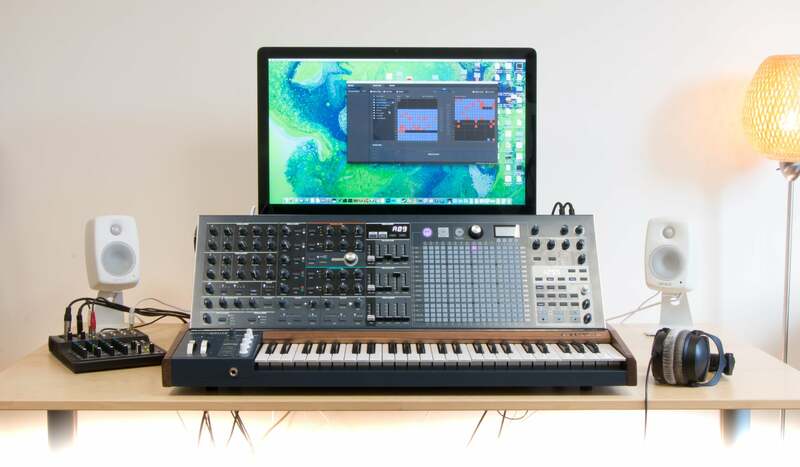 "I was interested in creating animated textural sounds with the MatrixBrute. You have so many ways to approach modulation using the built-in envelopes, LFO's, VCO's, 4 macro knobs, and you can literally route anything to anything. I also tried to create several patches around the internal sequencer/arpeggiator, which can also be used as a modulation source. " "I wanted to create a fun expressive bass line patch that made good use of the 4 macro controls, for modulation/filtering etc. I created it to be sequenced with drums or other sounds, so that the sound could feel like it’s moving around constantly. I used the 4 macro controls to assign the running rate of LFO 2, Mod amount A1, and the Steiner filter output, to get the signal to sound more grainy and dirty. It was a fun experiment to try and make something that would sound bubbly and wobbly "
"I like it so much!" Designing synth sound since Yamaha’s first FM synthesizer GS1, Nori is also a music composer, producer, keyboardist, Thereminist and Ondist. He recently partnered with Yves Usson and Urs Gaudenz to create the Theresyn. As a veteran sound adventurer, he immediately recognized the strong potential contained in the MatrixBrute. Having worked on so many different instruments Nori let us know that for him creating sounds with the MatrixBrute was a special experience. Something different from any other analog synth. To build the paraphonic "Nostalgic Strings" preset Nori took advantage of several features that makes the MatrixBrute and the sounds it can create so unique. The pitch of the VCOs as well as their pulse width and ultrasaw parameters are modulated by the two LFO at different rate. The two filters are set in parallel to get the best of what each can offer. The end result evokes the famous Mellotron strings and it also gives access to infinite tweaking possibilities. "The MatrixBrute represents the very essence of what a synthesizer must be." Sound designer and music producer, passionate about electronics and synthesizers from the 70’s. He started by creating sounds on memory-less analog instruments such as the Oberheim 2 Voice and the ARP Odyssey and has never stopped. MatrixBrute is ready for you to set up in your studio, connect your speakers, and be inspired immediately by the included carefully crafted preset sounds. You will hear familiar bass and lead sounds for instant usability, and creative soundscapes that can only be generated by the powerful and creative engine behind MatrixBrute.